Is Distance Learning right for me? 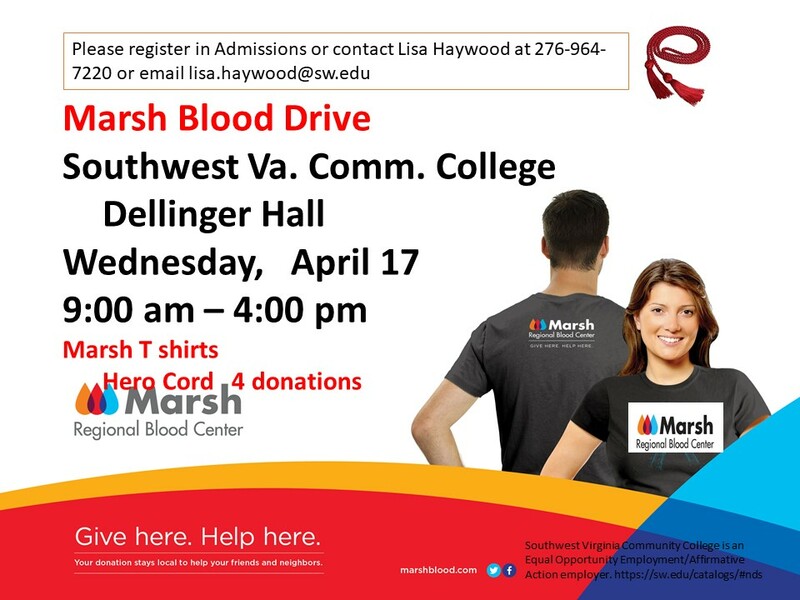 Please sign up in Admissions for the Marsh Blood Drive or email lisa.haywood@sw.edu or call 276-964-7220. Thank you for your dedication to Marsh and the community. 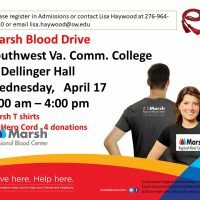 You are saving lives! Inquiries may be directed to the Affirmative Action Officer at (276)964-7340 or Cathy.Smith-Cox@sw.edu.